When a friend (or their husband) is cooking up a batch of something delicious, and I have a chance to try it, I am all over it! 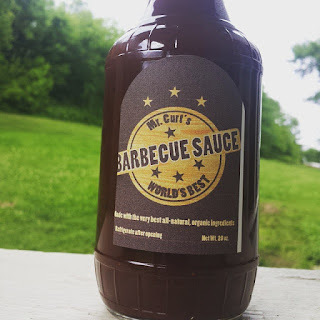 So, when my foodie friend Mary, from All Things Food ~ Cooking with Mary and Friends, shared that her husband, Curt, was making another batch of his barbecue sauce, I wanted in! In my world of foodie friends, this sauce is darn near famous. Curt and Mary live in South Carolina, and you know what I think about foods from South Carolina... it's all amazing! Mary is always trying to get as many foods from local farmers as she can. I really admire the effort she puts into sourcing and learning about where her food comes from. So, when they put a recipe together, I have no doubt that the best ingredients are being used. Truckin' Man and I really fell in love with this barbecue sauce, and that is rare for us to agree on a sauce. Usually, one of us is complaining that it is to sweet (me), or to spicy (him), but this sauce was just right! We enjoyed it so many nights on different pieces of meat, and even on a pizza one night. I really wanted to create a special recipe to enjoy this amazing sauce, and a baked bean dish seemed like the answer since we have been on a bean kick lately. So glad my taste buds dictated the creation of this dish. The day I made these, we were going to be gone for quite a few hours. So, in a last minute nervousness, I added a bit more broth, just for good measure. Of course, we were gone longer than I had planned. I had never made dried beans in the slow cooker before, so by the time we walked through the door, I was convinced that this was not going to end well. I walked through the kitchen, made a bee line to taste test, and just stood there holding my spoon in awe. 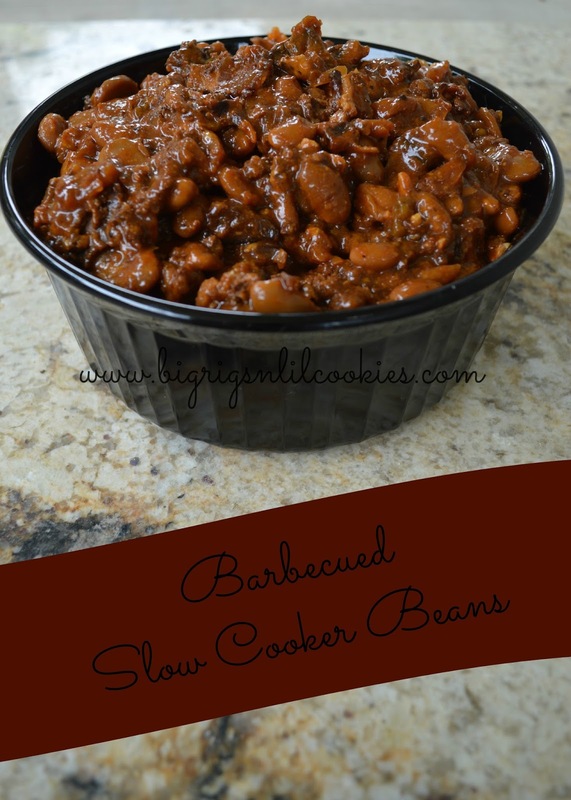 Barbecued Bean goodness. The beans were cooked to perfection. Not to sweet, not to spicy, just good ol' barbecue goodness! Sort through beans, discarding any stones, or shriveled beans. Place in large pot, and cover with water; let soak overnight. Drain beans. In large skillet cook ground beef until cooked through. Meanwhile, in separate skillet, cook diced bacon; cook until lightly browned. Removed bacon from skillet with slotted spoon, add to slow cooker. In skillet with bacon grease, add onion and jalepenos. Saute until onions are softened. 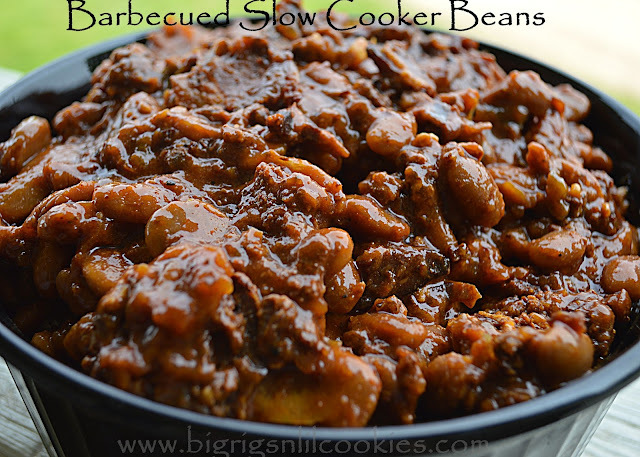 Add to slow cooker along with beans, ground beef, beef broth, barbecue seasoning, salt and barbecue sauce. Stir until combined. Cook on low for 7-9 hours. wow this looks so GOOD! Definitely must try this. Yes please! 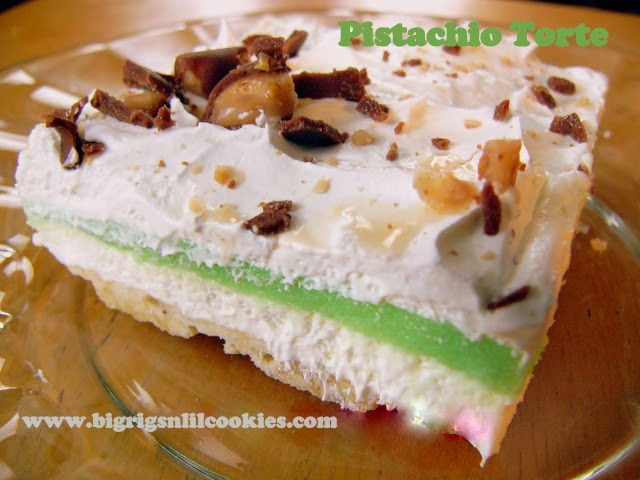 Wow, this looks amazing, my friend :) You have my mouth watering. Hugs to you! Sounds lovely, a complete meal in itself and just the sort of thing I'd enjoy coming home to after a day in the lab.